The International Rosé Day on June 22, 2018 will invite the whole world to celebrate the pleasures of Provence Art of living through many convivial and prestigious festivities over the planet, to savor a glass of Rosé in the hand. 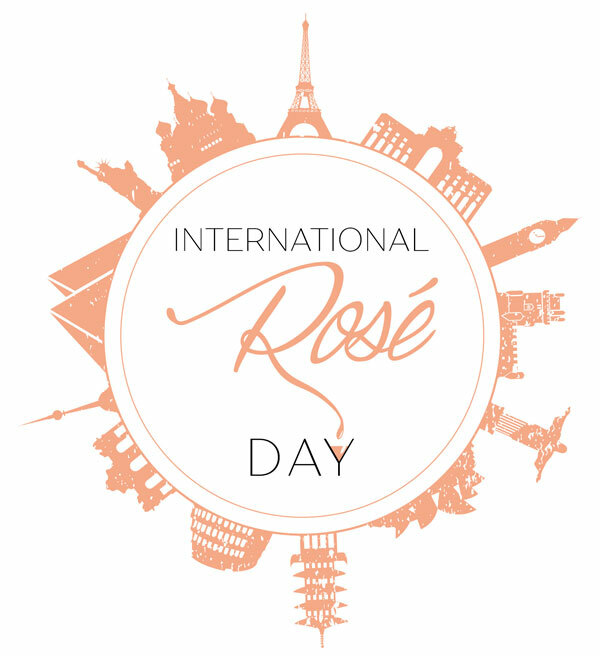 Under the leadership of Valérie Rouselle, owner of Châteaux Roubine and Sainte Béatrice, June 22, 2018 will become the International Rosé Day. Sharing the Art of Living and the heritage of Provence in a moment of conviviality, freedom and fraternity, is a promise to enjoy together around a glass of Rosé. The first French vines were brought by the Greeks during the founding of Marseille 26 centuries ago. The first wine made in antiquity was some Rosé and this wine was born on the sunny terroirs of Provence. A natural environment favorable to the Rosé by its climate, its soil, its grape varieties, Provence has always been conducive to the development of wines with this beautiful color. The winemakers of the region have chosen to make Rosé the leader in their production through the choice of grape varieties and a strategy in cultivation methods. More and more popular throughout the world, the Rosé goes along well with all cuisines, cultures and atmospheres. The emblematic production of Provence suggested its world day: the International Rosé Day! 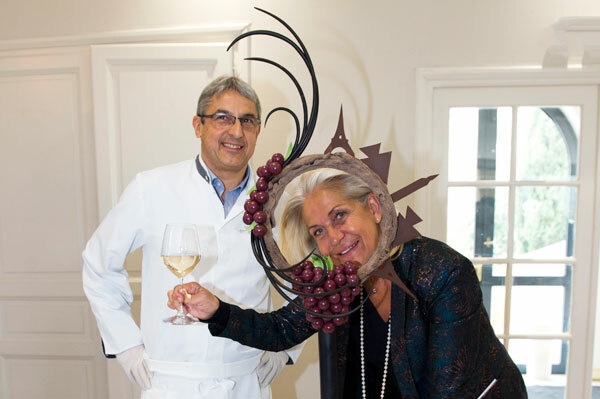 To organize this ambitious operation, an association was created, founded and chaired by Valérie Rouselle: the Organisation Internationale du Rosé (International Rosé Organization). 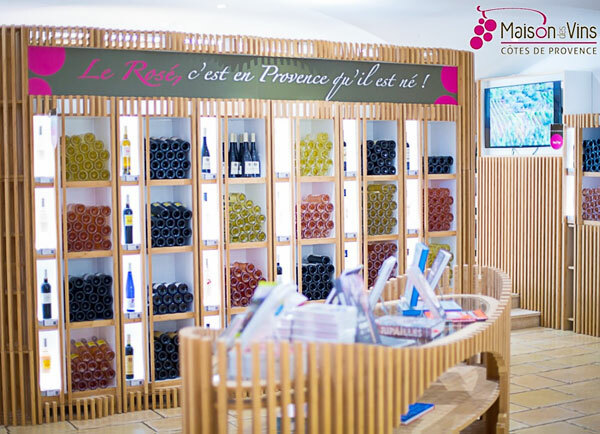 Around this great lady of wine in the Var, the winemakers of Provence are gathering to unite the producers, distributors and promoters of Rosé wine and highlight its qualities. 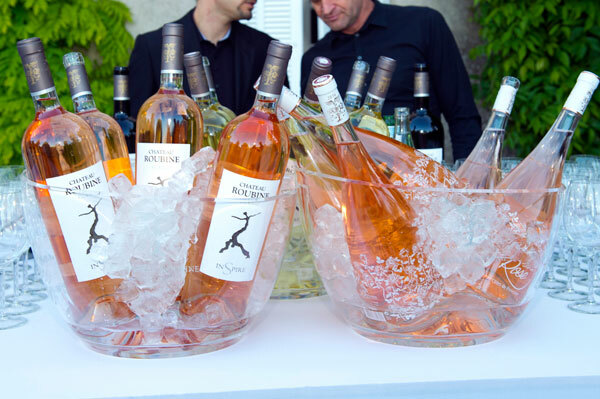 Combined with an ecological cause at the service of the terroirs and the environment and a scientific support through international meetings about the Rosé, the International Rosé Day wants to make known the Rosé de Provence through its tasting during prestigious parties in the world, some moments that invite to Rosé. The association wants many cities to grab the event and get involved by imagining their events under the label “Rosé Day”. 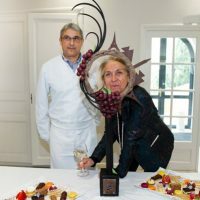 Philippe Rouquette, Caisse d’Epargne, Mir Nezam – Domaine du Dragon, Claude Alemagna – Maire de Lorgues, Sophie Biancone – Château Rasque, Aurélie BERTIN, Château Sainte Roseline, Valérie Rousselle, Château Roubine, Fabienne Joly – Centre du Rosé, Eric Pastorino – Syndicat des Côtes de Provence, Isabelle Foret, oenologue, Feminivin, Alain Baccino, CIVP. On June 22, 2018, the day after the Fête de la Musique, when people dream about the summer and the holidays, many prestigious and symbolic events will bring the Rosé’s colors to the fore to give the International Rosé Day its international festive dimension. Under the colors and nuances of the Rosé, the first International Rosé Day will spread around the world from Saint Tropez – a world famous city. The kickoff will be given at 19H, when the Citadel of Saint Tropez will be illuminated in pink by the hand of Thierry Guillot, lighting designer of the Lyon Festival of Lights. In Monaco, the Palais, the museums and the Grimaldi Forum will also be dressed in pink, thanks to the support of the Albert II of Monaco Foundation. Grasse, World Capital of Perfumes, will make its fountains flow pink. The Eiffel Tower will glow with pink and other emblematic monuments in Miami, Rio, New York, Ibiza, Moscow … where the parties will be in full swing in the spirit, warmth and sensuality of the Rosé de Provence. During the International Rosé Day, participants in local, national and international events are invited to broadcast and share their best Rosé moments with photos and videos commented on with the hashtag #roséday. 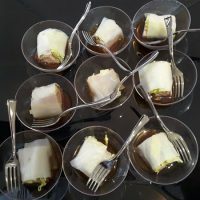 Europe, America, Asia, everywhere on the planet, in restaurants, bars, discos, squares, the best Rosé in the world, the Rosé de Provence, will blow a wind of happiness and friendliness, freshness and sun, love and sharing. 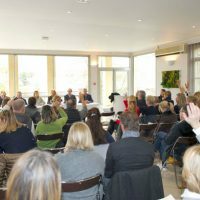 The first preparatory meeting for the International Rosé Day was held on January 10, 2018 at the Maison des Vins Côtes de Provence in Les Arcs around Valérie Rousselle, President of the International Rosé Organization. Alongside Fabienne Joly, President of the Rosé Center, Éric Pastorino, President of the Côtes de Provence Wines, Alain Baccino, President of the CIVP (Interprofessional Committee of Provence Wines), Claude Alemagna, Mayor of Lorgues, and a representative of La Caisse d’Épargne, Valérie Rouselle presented the ambitious goals of the International Rosé Day and the luminous events of June 22 in front of an assembly of winemakers, producers and traders of Rosé, tourism professionals and partners. Various organizational commissions have been set up to cover every aspects of the organisation of the event and ensure its worldwide success. The writer and historian Elizabeth Gabay, holder of a Master of Wine, likes to tell the cultural history behind the styles of wine we drink today. 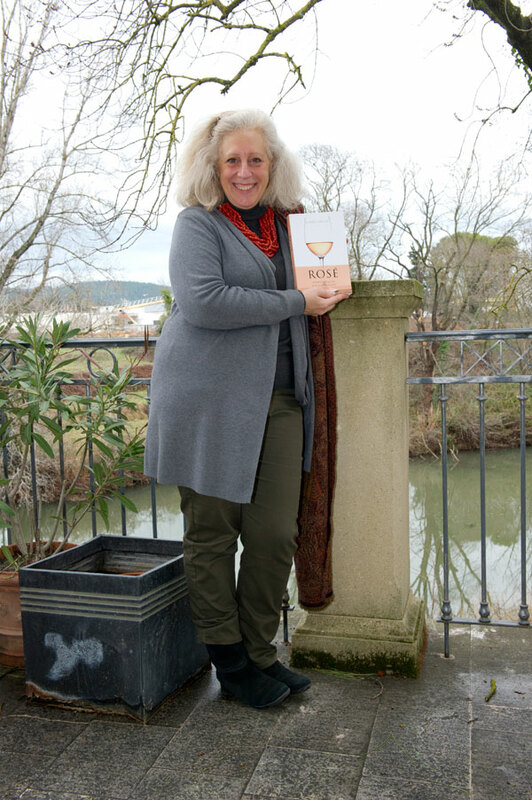 At the meeting, she presented her new book (in english) Rosé: Understanding the pink wine revolution. 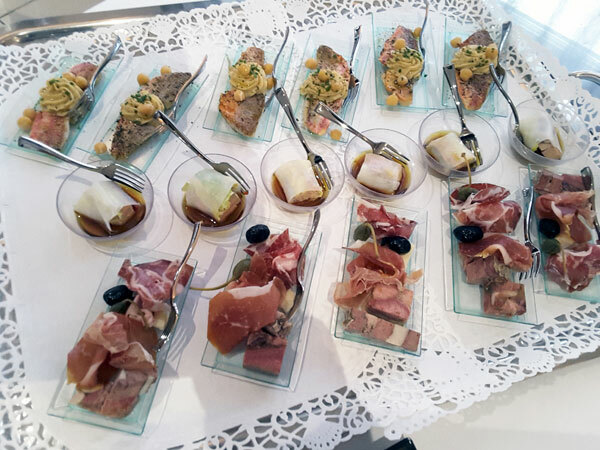 The meeting ended with a tasting of delicious specialties prepared by Christian Boeuf from La Bastide des Magnans in Vidauban, accompanied by delightful Rosés, nectars produced in the surrounding châteaux.